It is a very sad today. 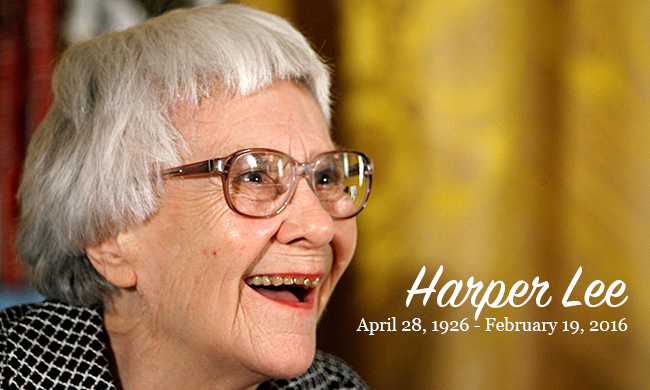 Harper Lee has passed away. I, like many many people, cherished my first reading of To Kill A Mockingbird. It was a turning point in how I saw other people and empathized with them – you’re told these things as a kid but you can’t really know what it means until you experience it. This is a book that I’m happy to see on many required reading lists and it’s a book that I feel many people in seats of authority should read (and re-read). Despite being written in the 60s, this book resonates hard with today’s society. It is still (sadly) relevant with morals that are often forgotten now. I truly hope you rest in peace, Harper Lee, knowing that your positive impact on the world will last for a very long time. 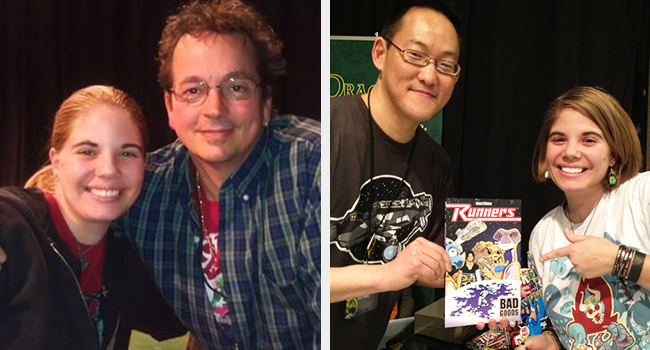 Your name and your work will never be forgotten. 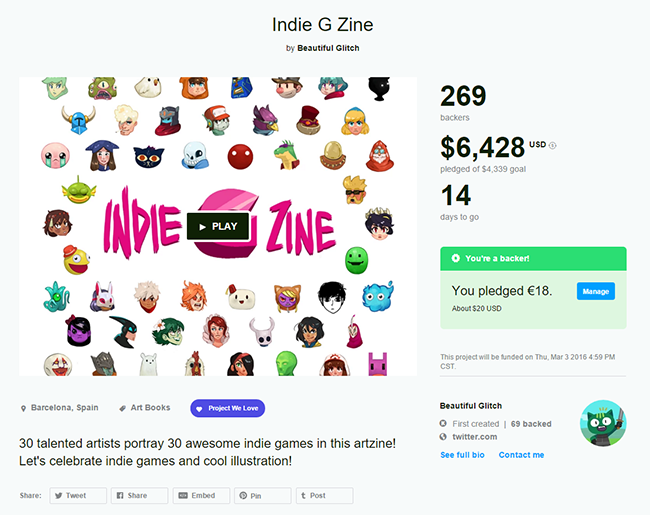 Kickstarter! The Indie G Zine feat. Guacamelee, Spelunky, Transistor, Gigantic & More! Okay so when I saw this Kickstarter flash through my feed on Twitter, I jumped at it. Some of my favorite platformers are on this list and even more that I’ve been interested in. I love indie games and I love when awesome artists draw fanart of their favorite works, so this is a kickstarter I can get behind. A slew of talented artists that have jumped on board with this project. You can find work from Emmett Rose, Bonnie Mier, Dani Kruse, Guille Garcia, and so many more. You can find the whole list and more updates about the project on their Kickstarter page. There are some pretty awesome reward tiers and some enticing stretch goals (and they’ve already reached one of them)! 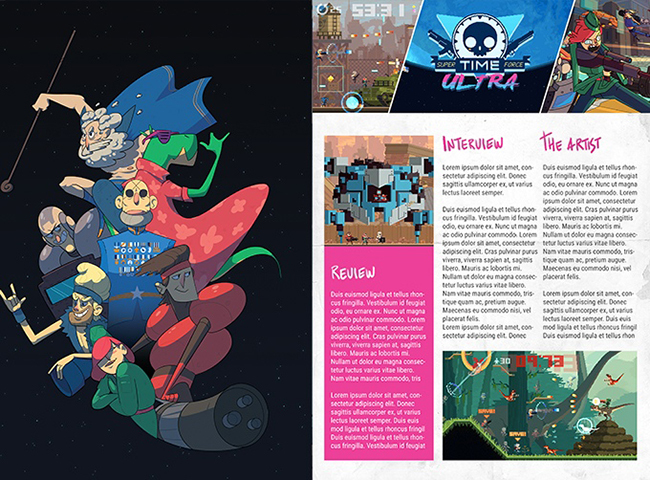 Currently, The Indie G Zine is attempting to add a few more games to their line-up, including Cave Story and the incredibly popular (and beautiful) Undertale game. If anyone knows folks from either of those games and can give them a nudge towards this kickstarter, that would be awesome. I know I would love to see both of those games included in the zine. 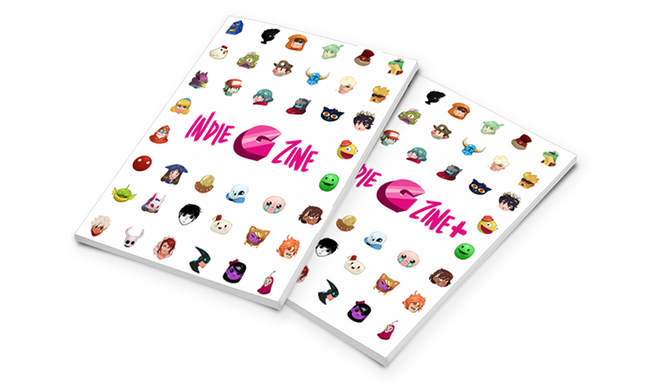 The man behind the Indie G Zine kickstarter is JuliÃ¡n Quijano and he is super passionate about this project and bringing it to the fans. 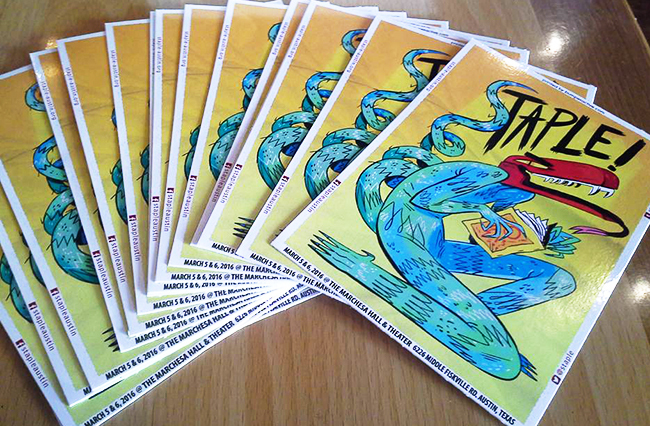 I can’t wait to see the zine in production. Go pledge now to The Indie G Zine Kickstarter now and follow them on twitter and tumblr for more updates. Supporting this project doesn’t just mean support for the zine – the zine itself will be promoting and marketing some pretty awesome artists AND the games they love. So what are you waiting for? Let’s go! 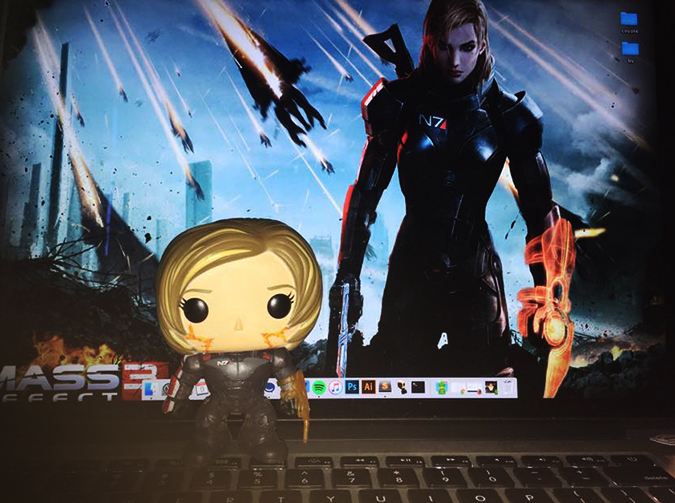 Best Present: Custom fem!Shepard Funko Pop! So for the past few months, my fiance Jake and my sister Madi have been hinting that I would be getting the greatest Christmas present ever, but that it would just be late. I had absolutely no idea what it was. Well I finally got my present today and it was 100% worth the wait because it is the best present in the entire world. In the entire galaxy. 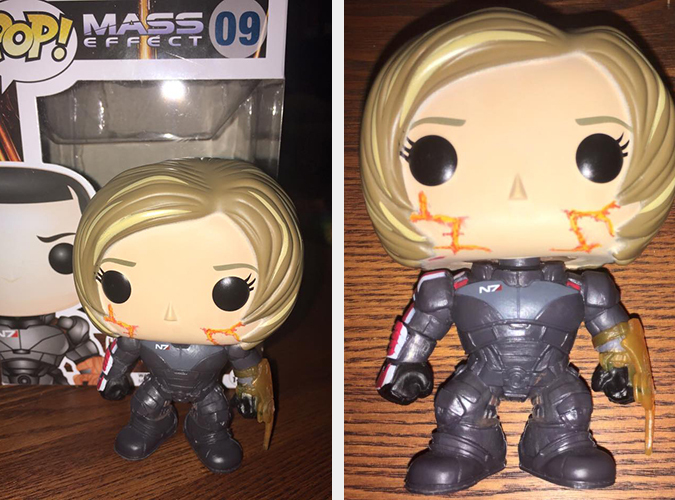 I’ve always been very sad that there is no femShep funko so imagine my surprise when I opened my present and discovered MY VERY OWN CUSTOM COMMANDER SHEPARD FUNKO!! Isn’t she amazing? And they MADE her for me. They discovered that the head of the Rachel from Friends funko pop looked just like my Shepard so they took that head and put it on the maleShep’s funko body. And then painted on my renegade scars. She’s so perfect I could cry. I have such an amazing family. 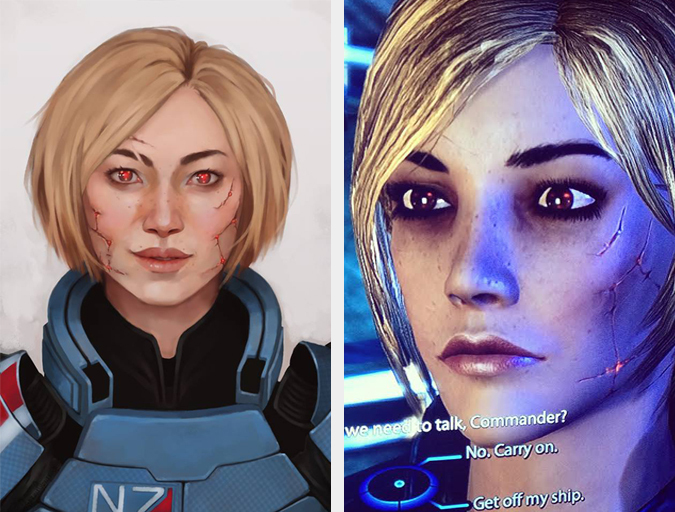 My personal Shepard as drawn by the talented Cheyenne next to my in-game Shep. First Con of the Year: PAX South! 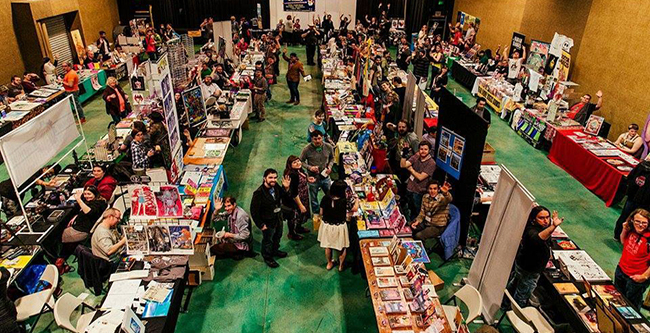 First month of a new year and first convention of the new year! I have always wanted to go to PAX Prime so I was super excited when they created PAX South last year. I was unable to go due to illness so I was stoked that this year we got three day passes. It was a ton of fun. Honestly I didn’t play nearly as many games as I wanted to, but we caught some really awesome sessions, met up with a bunch of friends, and saw some really talented cosplay. 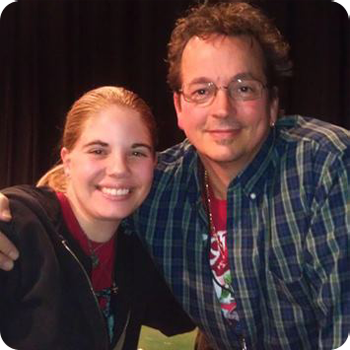 It was extra special too since my 15 year old sister got to come with and it was only the second convention we’ve ever done together. We all had a blast! 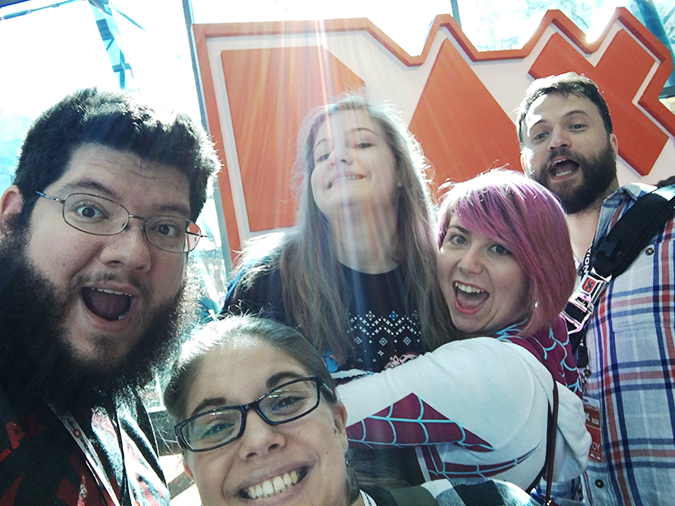 Here are some of the highlights from our PAX South adventure.